OLDRIGHTIE: Such A Terrible Post Brexit Period. Such A Terrible Post Brexit Period. A Depressing Establishment Closing Of Ranks. It is suggested Camoron did not have a plan were the referendum not go his way. As the days pass by, post this euphoric and far greater result than the ballot numbers show, I begin to fear there was a plan. The far from fair might of the Government and their axis power in the EUSSSR was but one aspect of the ballot that was grossly unfair from the moment Camoron announced the date. 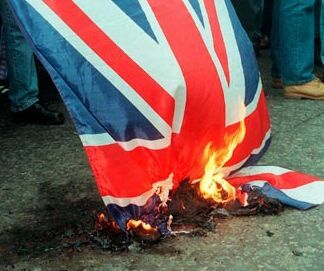 As for the shenanigans now abroad, Camoron and his haste to quit was designed for maximum damage to the Brexit result. Add Carney's interference before during and since the vote and we begin to observe a pattern. An embroidery of deceit already emerging as a part finished cross stitch. Or one might argue a cross stitch up. May the already chosen one to take over from the failed, Libya destroyer. Very much an heir to Blair interventionist for terrifying and murderous outcomes. 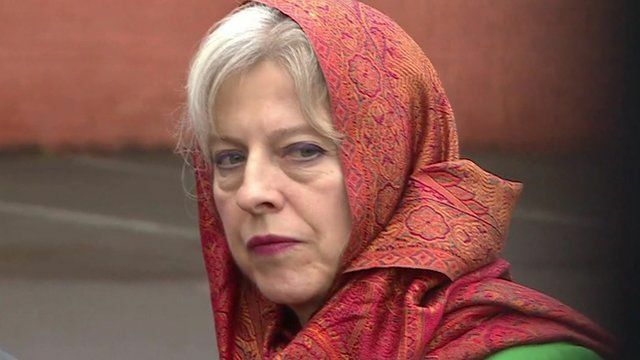 Part of the closing of ranks, marshalled by wagon train master Cameron, was the effort to keep out any serious challenge to a hoped for shoe in of our Muslim Tory Home Secretary. I suspect Gove was offered high office to Brutus Boris and Andrea Leadsom had not been expected to stand. This would explain the full might of our dictatorship Establishment's venomous and despicable ire being turned on the Lady. There is one small glimmer of hope here. She is way more popular than expected in the Country. As with the remain campaign of fear so the continuation of it to keep Mrs Leadsom from implementing the Brexit decision. Everything is to be marshalled against her. The media to be employed and paid in some form or other to smear and daub her with innuendo, dirty tricks and traps. First the CV effort. Clumsily done but nevertheless very nasty. Then the Murdoch style nastiness of last evening and today. Some excellent analysis and comment here. Also mentioned in the comments is the perennial anxiety in our Nation's voting lack of integrity. The Leadsom camp need to determine a secure way of monitoring this members ballot. It will be easier to rig 130000 votes than it was 17,452,710. I am also heartened by the manner social media has been successful in highlighting and researching the awful nature of our Establishment. Despite the awesome power the evil turds can marshal and buy up, Brexit triumphed. The shockwaves still reverberating. Albeit the rapid fall back on devious, Mandykiddyfiddler style misinformation and manipulation fit well in Rachel Sylvester's circle of unpleasant friends and partners. So, as with Brexit, there are a colossal number of forces lined up against all those who wish to see a pursuit of the exit from the EUSSR. The very same might unleashed and bankrolled with our own taxes that operated the failed project fear. People now sore, smarting and full of spiteful, vengeful bile over their defeat. So we must sit back for several weeks, yet again, while Westminster, Whitehall and Berlin Am Brussels gather their worst and most nasty forces. Firstly to block the people's' choice for PM, then further the main plan in nursing Muslim May through a wilful delay and blocking of Brexit. Already the talking down of the pound and daily diet of blame laid at the door of the ballot result. Despite the fact that the problems now arising were well advanced before the vote. Ergo the suppression of this detail to heighten the fear mongering and now to be recruited to force either a second ballot under a savagely constructed, false environment or delay the implementation on the grounds of economic severity. Only one thing in the way. Mrs Andrea Leadsom. So back to my fears. Over the coming weeks and regardless of any plans to massage yet another ballot, the Establishment, supported by the gullible fools supporting them, will do all they can, legally and illegally to do what they can to force her out of the contest. Or at least have zero chance of winning. As for Muzi May, she'll play her part. Already her failure in Government quietly put aside. Mass immigration unchecked, police force alienated and a myriad of boringly and predictable failures. She would struggle for one vote if this article went out with every ballot paper. A piece which we would all do well to plaster over social media anytime somebody tries to sing any false hymns or Minaret chants of May praise. A further thought. Imagine Muzi May under the thumb of the London Mayor. Of course there is also the mayhem in the fast fragmenting second Party of the Establishment. After decades of long drawn out divorce proceedings from the once Party of the working poor we are witnessing the isolation of Corbyn in a manner eerily similar to the manner being employed against Mrs Leadsom. I loathe the ridiculous philosophy of equality prosecuted by socialists. The dreadful political correctness and positive discrimination mantras very rapidly set aside when it suits. Such as this particular matter. Let alone parking their arses in the HoL after a lifetime of slagging privilege off. Kinnock but one of many. Yet I really do believe in Corbyn's right to be elected under the rules. His behaviour with the IRA killers is pretty unsavoury but no worse than the rank hypocrisy shown by the Labour Parliamentary Party. If his position means he could not win a General Election then, post that, I'm sure he would stand aside. If Eagle were to get him turfed out, which I doubt, who in their right mind thinks she would appeal to the electorate? In normal times I would relish Labour's self inflicted and deserved travails. Right now it's yet another detraction from watching the Establishment and trying to make their machinations to nullify Brexit as hard as possible to achieve. Well it's all happening now, not exactly the result I'd have wished for but at least Cameron's not in the way any more and art.50 hopefully will get moving, which way the moves will be need to be watched carefully.